View images in PC or tablet using USB 2.0 connection. Wide angle lens eliminates the need to adjust or change focus. Removable stainless steel, waterproof specula. Anti-fogging feature, heat from LED light positioned next to the lens. Save photos and videos to view, share or email. 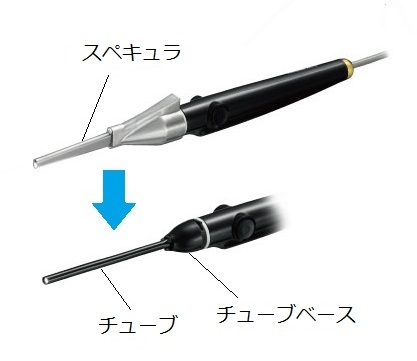 ※Forceps & catheter tubes are not included, forceps optional for purchase. ※If you use Mac, you can look the image by using Quicktime, but the center position function is unavailable. May takes time for downloading due to file size. 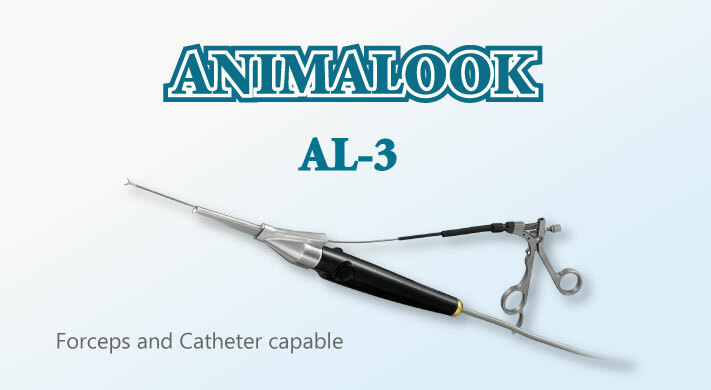 Use with or without a veterinary endoscope. Grasp and retrieve tissue or foreign matter. Small dimension, wire diameter 1.2mm enable instrument to fit into previously unreachable spaces. 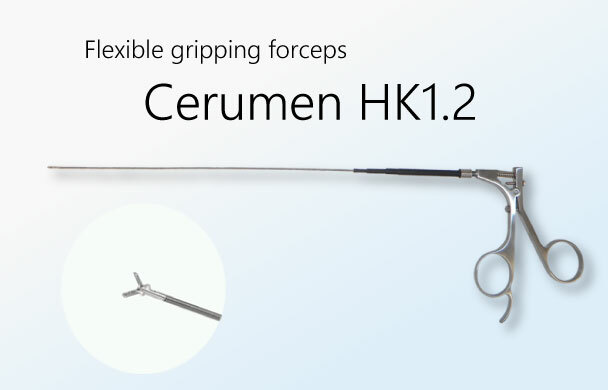 Robust jaws with adjustable stopper on the handle reducing excessive stress on moving parts. Copyright (C) CODEN CO.,LTD. All Rights Reserved.